The car, aviation and space industries increasingly require stronger and lighter components which can contribute to more energy-efficient utilization and a higher degree of safety. To meet these requirements, a larger percentage of components currently manufactured from steel need to be produced from lightweight materials such as aluminum. AP&T is the first company in the world to develop a new type of flexible production line that enables complex-shaped parts to be formed from several different types of high-strength aluminum. 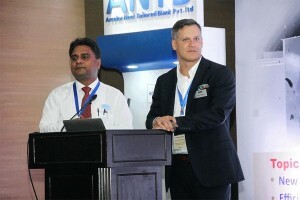 At the end of September, around a hundred representatives of both the Indian and the global car industry gathered at the Automotive Crash Testing Conference in Chennai, India, which was co-sponsored by ISGEC and AP&T. The aim was to discuss the new, stringent Indian requirements regarding crashworthiness and environmental performance — and how the standards can be met. 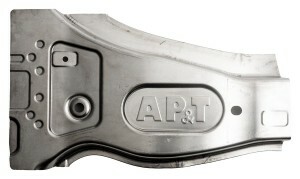 AP&T, which is a world leader in press hardening, presented how the company’s solutions can help reduce vehicle weight and energy consumption, while improving crashworthiness at the same time.